On the Jayhawks' tenth studio album, Back Roads and Abandoned Motels, the band didn’t have to look terribly far to find untapped treasures to help ignite their creative spark. Back Roads and Abandoned Motels comes two years after the band’s last studio album, Paging Mr. Proust, and it's the third studio effort following the band’s 2008 reunion after a four-year hiatus. 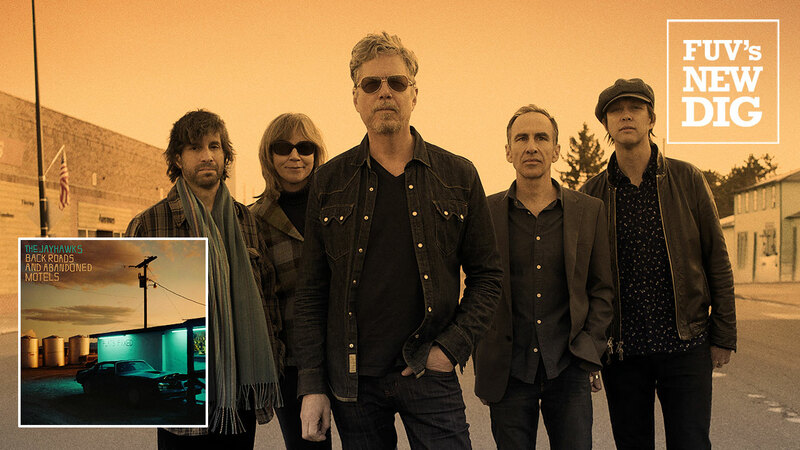 On Back Roads and Abandoned Motels, the Jayhawks —singer, songwriter and guitarist Gary Louris, bassist Marc Perlman, longtime drummer and vocalist Tim O’Reagan and keyboardist and vocalist Karen Grotberg — were motivated by a surprising source: the group's record label. John Jackson, Legacy Recordings' Senior Vice President of A&R, suggested that the band should consider recording some of the songs that Louris had co-written through the years with other songwriters. Although many of these songs had already been recorded and released by other artists, Jackson felt it would be gratifying to hear them with the Jayhawks’ touch. Louris and the rest of the band agreed with Jackson and ultimately chose nine songs for the album, with Louris contributing two new solo compositions. Throughout this planning process, Jackson remained closely involved with the project and the band, but not only as an executive. A talented mandolinist, violinist and guitarist, he also ended up joining the Jayhawks as a full-fledged fifth member. In addition to Jackson, Back Roads and Abandoned Motels boasts another new direction for the Jayhawks – the emergence of O’Reagan and Grotberg as lead singers. While the harmonies of both musicians have been one of the signature qualities of the Jayhawks' sound, neither has ever stepped into the spotlight. That’s a role that usually falls squarely on Louris. But on this new album, Louris encouraged his bandmates to contribute more, and that diversity adds a sweet, fresh dimension to the band’s sound. On Back Roads and Abandoned Motels, the Jayhawks return to three songs that Louris wrote with the Dixie Chicks' Natalie Maines, Emily Robison and Martie Maguire. The Dixie Chicks songs “Everybody Knows” and “Bitter End" both appear while the aforementioned “Come Cryin’ To Me,” complete with horns, was initially recorded by Maines for her 2013 solo album, Mother. Recorded over a short period of time in Minneapolis, with Louris, Jackson, and Ed Ackerson producing, Back Roads and Abandoned Motels is a cohesive collection of mid-tempo songs that have a healthy dose of Americana sprinkled throughout, especially on tracks like “Bitter End.” As always, the band’s musicianship and glistening harmonies unifies the overall sound of the album. It’s been 32 years since the release of the Jayhawks's eponymous debut album. As time passes, finding inspiration could be a challenge, but here, the Jayhawks have found a savvy way to negotiate older material. With Back Roads and Abandoned Motels, the Jayhawks looked within themselves and found a very different path. Once again, this beloved American band has released another shining jewel in their rich music discography. Listen to a new FUV Live session with the Jayhawks airing on Thursday, July 19, on 90.7FM, also streaming online.